All units have balconies and secure undercover parking. 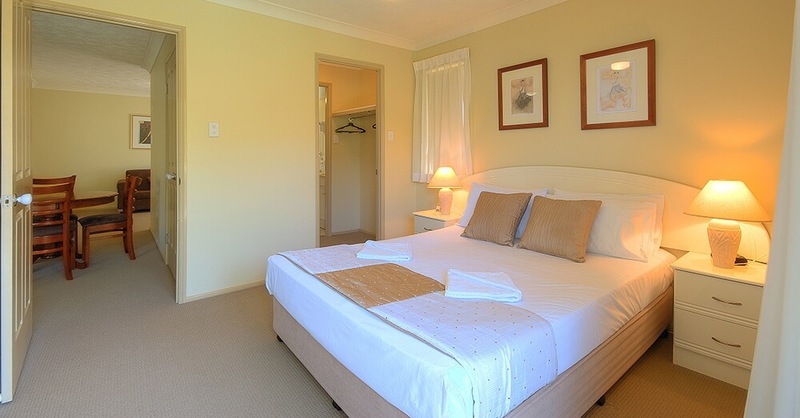 Bila Vista Holiday Apartments is the perfect destination for your Gold Coast break offering spacious comfortable holiday apartments located on the scenic southern end of the Gold Coast close to Coolangatta Airport (Gold Coast Airport). Conveniently located a five minute drive from the Gold Coast Airport, Southern Cross University and the John Flynn Hospital. A bus stop is located 200 metres away with a regular service into Coolangatta or up to John Flynn Hospital to visit friends or family during their stay. We have allocated secure undercover parking (2.1mt maximum height, 1 car per apartment) Free Foxtel and Free Wifi (2 Gb per day). Our various types of apartments cover three floors and there are no elevators in the building. A leisurely 20 minute stroll along the Oceanway path gets you into Coolangatta passing North Kirra and Kirra Beaches along the way as well as our many local cafes. We offer the perfect holiday setting for every member of the family to unwind, relax and thoroughly enjoy themselves. With a superb year round heated pool and spa, we are sure you’ll enjoy your holidays. Centrally located within an hour drive of Byron Bay, the Gold Coast Hinterland and Brisbane is a great base for day trips or doing absolutely nothing lying around our pool & spa or having a Bbq with friends.